When a little motorboat approached American warship U.S.S. Cole along the port of Aden in Yemen, on October 21, 2000, it was thought to be a friendly craft sent to assist the ship and was therefore allowed to get close to the vessel, which proved lethal when after coming alongside the ship the motorboat blew up in bits doing considerable damage to U.S.S. Cole and killing six American sailors while 11 sailors could not be found and were believed to be dead. It was a suicide attack because all occupants of the motorboat died. Based on the inputs from French intelligence agencies the American authorities could conclude that the attack on the warship was carried out by a militant cell supported and trained by al-Qaeda. Nearly a year later, on September 11, 2001, the World Trade Center attack took place, which changed the way the world looked at terrorism. 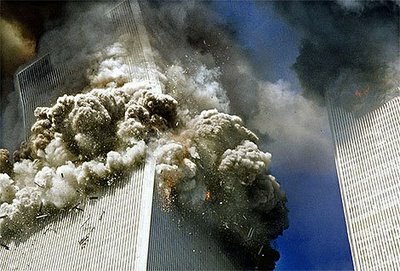 The WTC Attack – known variously as ‘September 11 Attacks’, ‘9/11 Attack’ or simply ‘9/11’ – was a series of four coordinated suicide attacks committed in New York and Washington, D.C. by a total of 19 terrorists, who hijacked planes and crashed them into the World Trade Center’s Twin Towers and the Pentagon in Arlington, Virginia resulting in the death of around 3000 people (2,996 exactly) including 227 passengers aboard the four airplanes used and 19 hijackers. American Airlines Flight 11 flew from Boston’s Logan Airport at 7:59 a.m. for Los Angeles carrying eighty-one (81) passengers (including five hijackers) and eleven (11) crew members. 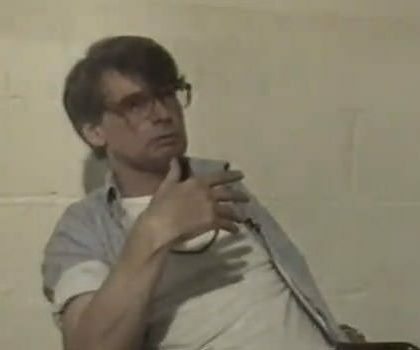 The hijackers took control of the plane and piloted it into WTC’s North Tower at 8:46 a.m. The North Tower burned for 102 minutes and collapsed at 10:28 a.m.
United Airlines Flight 175 was the second one to crash into the WTC. It left Logan Airport at 8:14 a.m. for Los Angeles carrying nine (9) crew members and fifty-six (56) passengers (including five hijackers) and was crashed by the hijackers into WTC’s South Tower at 9:03 a.m. 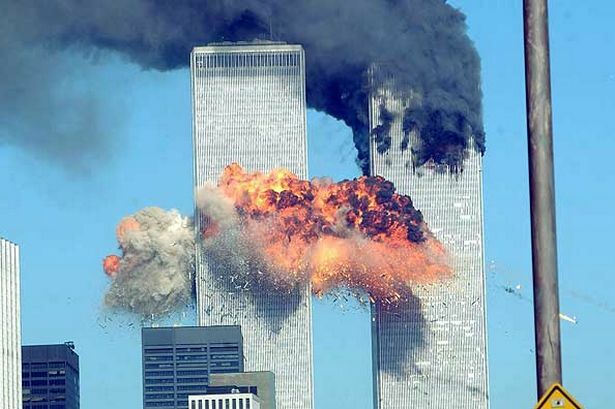 The South Tower burnt in the fire caused by the crash for 56 minutes before coming down at 9:59 a.m. The collapse of North resulted in the debris falling on the adjacent 7 World Trade Center causing substantial damage and starting fires, which remained ablaze for hours, and the resultant structural damage to 7 WTC caused its collapse at 5:21 p.m.
American Airlines Flight 77 flew from Washington Dulles International Airport, Northern Virginia at 8:20 a.m. for Los Angeles carrying six (6) crew members and fifty-eight passengers (including five hijackers) and was crashed into the Pentagon in Arlington, Virginia at 9:37 a.m. The Pentagon suffered extensive damage from the impact and the ensuing fires. The wings of the airplane hit the light poles while its right engine crashed into a power generator before hitting the western side of the building. The airplane had struck the first-floor level of the building, and on impact front part of the fuselage disintegrated but the mid section and the tail sections remained in motion for a few more seconds. United Airlines Flight 93 took off from Newark International Airport at 8:42 a.m. for San Francisco with thirty-seven (37) passengers (including four hijackers) and seven (7) crew members, but the hijackers failed to accomplish their objective because the passengers put up a stiff resistance, which forced them to crash the plane into the ground near Shanksville, Pennsylvania at 10:03 a.m. The adverse economic impact of the destruction of the Twin Towers was felt not only by the Lower Manhattan but also by the global markets. By May 2002 the work of cleaning up the WTC site was concluded. In the memory of the departed souls several memorials have come up including the National September 11 Memorial, the Pentagon Memorial, and the Flight 93 National Memorial. In addition to that a 1,776-foot-tall (541 m) ‘One World Trade Center’ is also being constructed at the site of WTC in New York and the construction work is expected to finish by 2013. On the terror front, the needle of suspicion pointed at al-Qaeda right from the start, but once Laden himself took responsibility of the attack in 2004 after having denied involvement for years, there was no doubt left. 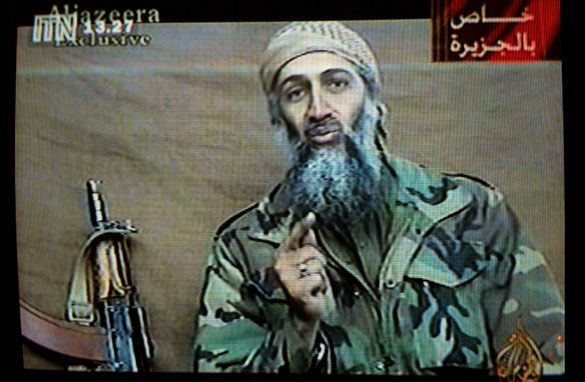 Laden and al-Qaeda justified the attack on grounds of US policies towards the Middle East, which Laden and his supporters found inherently unjust, oppressive and anti-Islamic. To Laden United States’ supporting Israel, the presence of US troops in Saudi Arabia, and sanctions against Iraq were all indicative of anti-Muslim policies of the United States. The WTC attacks were first conceived by one of Laden’s close associates, Khalid Sheikh Mohammed in 1996 or so. Laden had just returned to Afghanistan from Sudan and was consolidating his new base. A couple of years passed and during these years Laden’s resolve to attack America settled in, and he approved Mohammed’s plan, and green-signaled its initiation. The plan was finalized after several discussions and meetings involving Laden, Mohammed and Mohammed Atef during the early 1999. Logistical and operations support for the plan came from Atef. 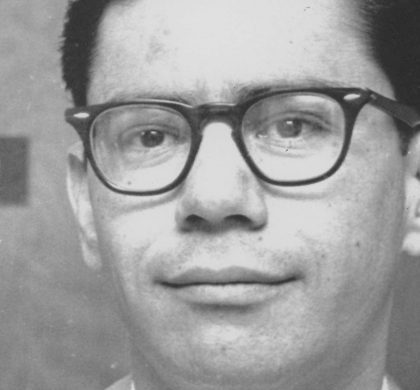 He played a major role in target selection and in getting the hijackers into the US. Some of the proposed targets were rejected by Laden, who thought that targets like the U.S. Bank Tower in Los Angeles required much better preparation than they had the time for. WTC Attack was led as well as financed by Laden. Laden had initially picked Nawaf al-Hazmi and Khalid al-Mihdhar, who were prepared for the attack and took flying lessons in San Diego, California after entering the US in January 2000, but they had to play secondary roles in the attack because they were not sufficiently good at English and did not do too well at flying lessons either. Therefore, they could not exactly lead the attack though they did participate in the mission. Finally, in 1999, a small group of people landed in Afghanistan from Hamburg, and from among these men Laden chose Mohamed Atta, Marwan al-Shehhi, Ziad Jarrah, and Ramzi bin al-Shibh because all of them could speak English well and had lived in the West. 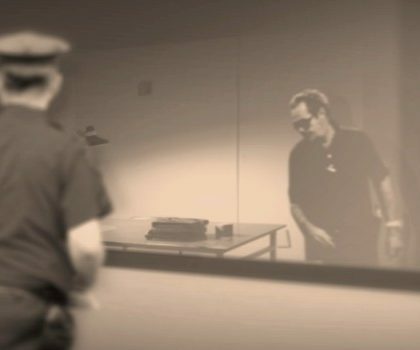 Among the new al-Qaeda recruits, Hani Hanjour knew how to fly a plane and possessed a commercial pilot license as well. Therefore, he was a natural choice for the attack. Hanjour landed in San Diego to join Hazmi on December 8, 2000. Soon after, the duo travelled to Arizona, where Hanjour took refresher training in flying to be fit for the mission. Marwan al-Shehhi arrived in May 2000, Atta on June 3, 2000, and Jarrah on June 27, 2000. Bin al-Shibh was to join the rest, but was denied US visa over and over again, and had to stay back in Hamburg from where he worked as a link between Atta and Mohammed. The Hamburg members of al-Qaeda received their flying lessons in South Florida. Apart from the hijackers who were to pilot the airplanes, other hijackers were also needed. They started arriving in the US in the spring of 2001. Atta and Bin al-Shibh met in Spain in July 2001, and it was then that the details of the mission were finalized between them. The final target selection was done at this stage. 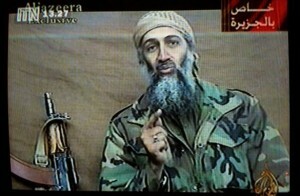 Bin al-Shibh told Atta that Laden wanted the attack to be carried out at the earliest. September 11, 2001 arrived soon after. The WTC Attack was an open challenge to the might of the world’s most powerful nation. But the US also saw it as an attack on their ‘way of life’ and the war on terror escalated into a ‘clash of civilizations’, which was no good news for the world because such a clash could mean a world divided on the lines of culture and religion. In a world where all cultures and all religions were almost everywhere, it could translate into a series of multi-level implosions across the world. The anti-terror war could not be allowed to turn into an anti-Islam war for a simple reason that Islam did not preach killing innocent people as a means to an end, and, therefore, terror attacks did not carry Islamic approval as Osama and his associates wanted the Muslims to believe. As expected, the world in general and the US in particular took a stern view of the WTC Attack and launched a counter-strike against terrorists and terrorism. Taliban regime remained stoutly supportive of Laden and his terror campaign against the United States, the west and other such countries as the terrorists considered ‘anti-Islamic’ or ‘anti-Muslim’. Therefore, the US invaded Afghanistan to unseat the Taliban regime that had been harbouring and nurturing al-Qaeda. A number of countries across the world tightened their anti-terrorism laws in order to arm law enforcement agencies with wider powers for a more effective curb on terror attacks. The US invasion of Afghanistan in the wake of 9/11 was to be a swift operation aimed at dislodging the Talibans, destroying al-Qaeda bases in the country and apprehending or killing Laden. Given the military might of the world’s most powerful nation, it did not seem difficult for the US to accomplish its objective in a short period with minimal casualties on their side. Apparently, Laden’s days were numbered. But the future was all set to shatter the expectations and frustrate all plans. http://jime.ieej.or.jp/htm/extra/2001/09/13/20010922/wp-7.html; Last accessed: May 30, 2012.
http://www.newyorker.com/archive/2006/07/10/060710fa_fact_wright: Last accessed: May 30, 2012. Originally written for and published in LAWYERS UPDATE as a four-part ‘Crime File’ in September 2012.